Outside Paper inside HDPE Lamition. In order to meet the various requirements of the customers, we are engaged in offering a wide assortment of Paper Bag. These bags have a very good appearance and are used for packaging costlier products like pesticides, seeds, wheat flour, high-end chemicals etc. They may also be used for secondary packaging of smaller 1kg bags. We manufacture sandwich bags as per the FDA/USDA approved norms for packaging. These bags help in providing a larger shelf life to the product and keeps the taste of the food intact. 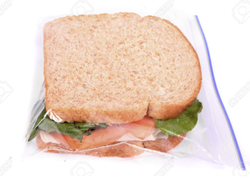 The sandwich bags are reasonably priced and meet the requirements of the food industry. Make your own reusable sandwich bags! We also deal with Sandwich Paper Bag. We are offering Plastic Sandwich Bag to our clients. We are a proficient name in the industry involved in offering an optimum quality of Paper Sandwich Bag. We are supported by the team of highly knowledgeable and dexterous professionals and occupied in presenting best quality of Sandwich Paper Bag to the valuable clients. RVL Poly Industries Pvt. Ltd.
We have gained expertise in offering Paper Sandwich Bag. 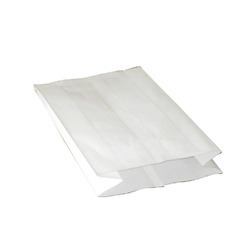 The Paper Sandwich Bag we offer is widely demanded amount the clients for its wide use. Offered products are suitable to use and known for its availability in various sizes. We bring forth our vast industrial experience and expertise in this business and are instrumental in offering wide assortment of Paper Sandwich Bag.